In High Income Social Tenants: Pay to Stay, the government proposes a dramatic increase in rent payable by some social housing tenants. Andrew Arden QC and Justin Bates respond. According to the government, there are between 1,000 and 6,000 households in social rented housing in England where the combined family income exceeds £100,000 per year and between 12,000 and 34,000 households earning more than £60,000 per year. The government believes that there is ‘no case for very high earners’ to benefit from subsidised housing and proposes to develop a national strategy to allow landlords to charge a higher rent to these households. (80% of the market rent until primary legislation allows full market rents). It is obvious that this will not be a one-shot policy. If someone earning over, say, £100,000 per year has to pay market rent (let’s assume double what someone on income support pays, though it could easily be more, e.g. in central London), then there will be no reason why someone earning £60,000 should not have to pay one and a half times, and someone on £40,000 an uplift of 25%, and so on. It is a return to the means-tested rents which were not uncommon before the war and even after. The proposals will undermine attempts to create sustainable communities as in Fair and flexible: statutory guidance on social housing allocations for local authorities in England, DCLG, December 2009. The policy is destined to produce sink estates where only those with no or low-paying work will live. This cannot be a good thing, whether for the residents of those estates or more generally and will inevitably lead to an increase in anti-social behaviour (as to which, see our last post, here). The implications for existing tenants are clear. There will be real pressure not to look for better paid work, if the effect would be to cause rent to increase dramatically. Households will face difficult and unpalatable decisions about what sort of work to look for and accept. There may also be equality issues that will arise, e.g. an incentive for women to stay home and care for the children, rather than go out to work and increase household income. Imagine how far this principle could extend. If it is right that the better off pay more for their housing, why should they not also pay more for their education? Why should the NHS provide free health care to the wealthy? Perhaps the fire brigade should charge a fee before assisting higher-rate tax payer who finds his/her house on fire? These propositions are absurd on their face. So why is housing treated any differently? This is a misconceived policy ostensibly aimed at a small number of families and households, which will have far reaching potential consequences. It is a nakedly ideological drive to recast social housing as a welfare benefit only for the poorest and it should be opposed. In Putting Victims First, the government proposes extending the powers available in respect of anti-social behaviour. In this post, Andrew Arden QC and Justin Bates of Arden Chambers respond. We were delighted to learn that so many people liked our previous posting. We rather fear that this post may be a bit less popular as we turn to recent proposals for dealing with anti-social behaviour (ASB). We stress that nothing in this post should be read as in any way minimising the significance of ASB for neighbours and other local residents. We recognise the misery that drug dealing, noise nuisance and the like can and does cause. Our point is, rather, that such behaviour should be recognised and punished as a crime by the criminal justice system, which should be properly resourced to respond to it, rather than distorting housing law or co-opting housing officers to act as police officers. (What is more, policing paid for by local tenants, bearing in mind that local authority housing management activities remain financially ring-fenced and that rent is the principal source of income for all the activities of a PRP). (iv) a tenant or member of the household – or a visitor – has been convicted for breach of a noise abatement notice. This will apply not only in social housing but across rented housing generally. Our fundamental objection to these proposals is that they seek to use housing law as a tool of social control in the same way that the criminal law is, with security of tenure to be taken away for reasons which can be entirely unconnected with the occupation of a particular property or even with the use of any property as housing or whether housing is needed. a tenant or household member is convicted for breaching a noise abatement notice in relation to property anywhere, even commercial (eg, a club). All but the first of these is not subject to a judicial decision on ‘reasonableness’, only the considerably higher hurdle of ‘proportionality’. ‘The loss of one’s home is … not even something which a criminal court can impose by way of sentence …’: Portsmouth v Bryant (2000) 32 HLR 906, CA. ‘The principal tangible loss suffered by the plaintiff was that he was deprived of the tenancy of a flat protected by the Rent Acts, and in the circles in which these parties move possession of such a flat is one of the most significant rights of property that any of them ever see in their lives’, per Widgery LJ in Mafo v Adams  1 QB 548. The idea that the punishment of eviction can extend to the family of a criminal, even in relation to conduct unconnected with the home, is offensive. In criminal law, one person of full age and capacity cannot usually be held to be responsible for the acts of another (see, eg R v Kennedy  UKHL 38). Why does that apply with less force to social housing? Under the proposals, a tenant in, for example, Wandsworth would be at risk losing his or her home because, say, a child is convicted of rioting in Warrington or of assaulting someone in a pub across town. Yet an owner-occupier (including a long leaseholder under RTB (Right to Buy)) could not lose the home for the same reasons. The proposals create a two-tier citizenship where only some are susceptible to punishments from which others are exempt. Coupled to other new developments, in particular the flexible tenancy, social housing tenants will now have to demonstrate a continued moral entitlement to accommodation through continued good behaviour. Housing officers have a partially welfare role. That was fundamental to the origins of social housing and remains the reality. It is why the social housing sector does not, and is not expected to, evict as soon as arrears arise or a tenancy is breached. To fulfil this role, they need to be trusted by tenants. If the tenant is in rent arrears because a partner is no longer working, having recently been sentenced to a term of imprisonment for an offence committed in the locality, will the tenant explain this to the officer who, armed with the knowledge, will then have grounds for seeking a mandatory possession order? Moreover, housing officers will commonly be under pressure to evict those convicted of, at any rate certain types of, offences for reasons entirely unrelated to any rational housing policy but which lie, essentially, in the increasingly populist agenda pursued by tabloids and (many) politicians alike. Is this really how we want to see housing used; is it really what housing policy and housing law are about? In Helena Partnership Ltd v Commissioners for HMRC  EWCA Civ 569, the Court of Appeal held that a housing association was not carrying out charitable purposes by providing social housing. 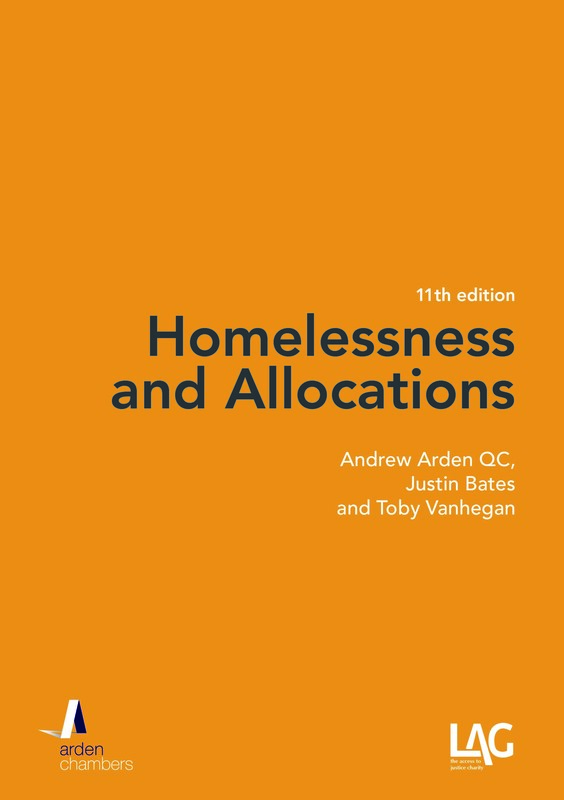 In this post, Andrew Arden QC and Justin Bates of Arden Chambers outline their criticisms of the decision. The Preamble to the Statute of Charitable Uses Act 1601 contained a list of the purposes and activities that were then regarded as charitable. Even though the Act has been repealed and replaced, modern charitable law is still based on the Preamble. In Income Tax Special Purpose Commissioners v Pemsel  AC 531, likewise still applicable, the House of Lords held that the activities in the Preamble could be divided into four categories: (i) the relief of poverty; (ii) the advancement of education; (iii) the advancement of religion; and, (iv) other purposes beneficial to the community. Helena is a housing association which was formed to take a stock transfer from a local authority. The issue in the case was whether it was a charity between October 2001 and November 2004 (at which time it had changed its objects. The new objects were not considered). 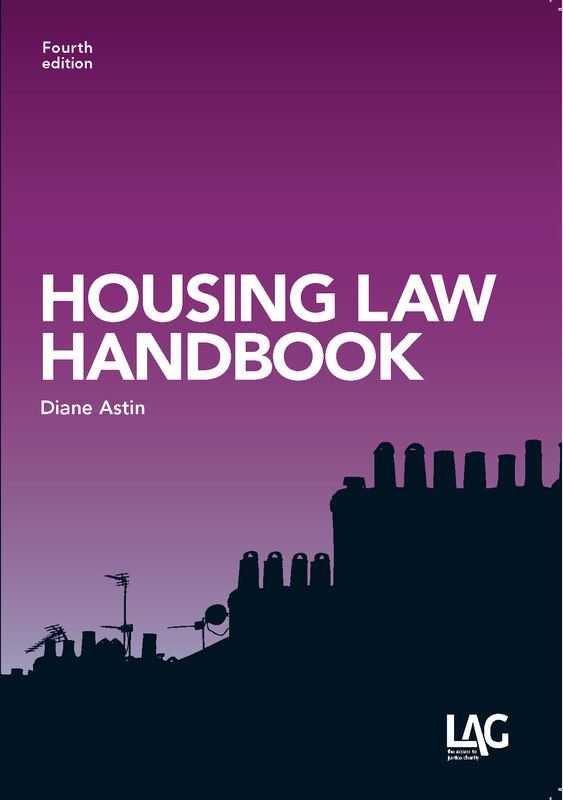 Its then objects included the provision of housing (cl 4(1)) and ‘any other object that can be carried out by a company registered as a social landlord with the Housing Corporation for the benefit of the community.’ (cl 4(5)). The Inland Revenue decided that these objects did not fall within any of the four categories identified in Pemsel and that Helena was therefore liable for £6 million in corporation tax to which it would not be liable were it a charity. Helena contended that they fell within the fourth category (ie other purposes beneficial to the community). It was unsuccessful in both the First Tier Tribunal and the Upper Tribunal. An appeal to the Court of Appeal was dismissed. The provision of housing accommodation was not in itself a purpose beneficial to the community; it was only charitable if it was provided to those with some form of charitable need (eg the poor or elderly). Furthermore, to be charitable under this head, the degree of individual benefit had to be subordinate to the public benefit, which the provision of housing was not. Nor was the association limited to carrying out only charitable activities, having regard to the range of activities permitted to social landlords. 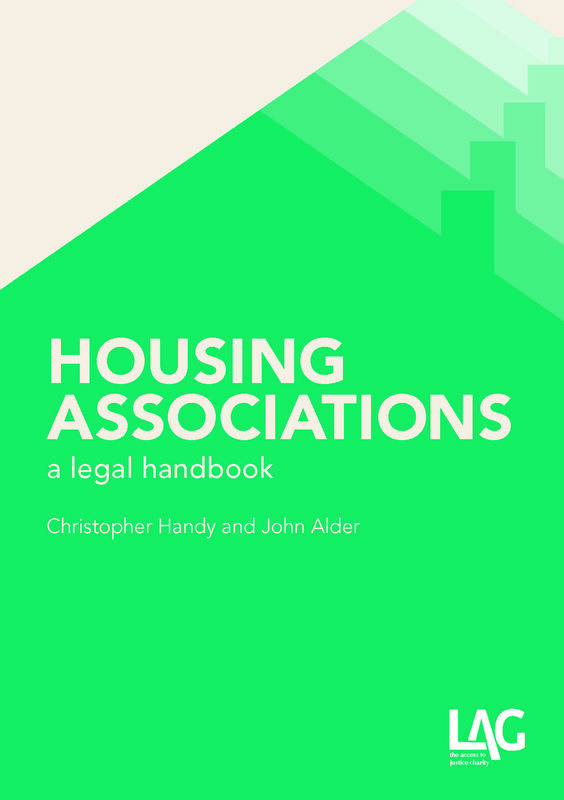 Leaving aside the legal arguments, the history of the housing association movement is deeply rooted in charity: see books like Gauldie, Cruel Habitations, A History of Working-Class Housing 1780-1918 (George Allen & Unwin, 1974), Wohl, The Eternal Slum Housing and Social Policy in Victorian London (Edward Arnold, 1977), Mullins & Murie, Housing Policy in the UK, (Palgrave, 2006). For example, in 1862, George Peabody established what we now know as the Peabody Trust to ‘ameliorate the condition of the poor and needy’. In 1863, the Improved Industrial Dwellings Company was formed to provide rented accommodation to the working poor, funded by shareholders who were prepared to accept below-market dividends, regarded as both philanthropic and charitable. Likewise, Octavia Hill is rightly regarded as one of the pioneers of social housing, and her philanthropic activities led directly to the foundation of a number of housing charities; again, the distinction was barely maintained. It is both surprising and disappointing that there is no discussion at all of this wider historical context in the Helena case. Finally, we cannot help observing that, while the supply of public housing is not regarded as charitable under any heading of Pemsel, public (ie fee paying, essentially private) schools are: Independent Schools Council v Charity Commission; Attorney-General v Charity Commission  UKUT 421 (TCC). In that case, the Upper Tribunal held that the provision of education in those schools was for the public benefit and that, on the facts, the benefit was not displaced by the charging of fees. Nor, presumably, was it displaced by the individual benefit derived from it, which every relevant study suggests is a lifelong access to the best and most remunerative professions and jobs. (The tests are slightly different between the Pemsel heads, but not, we think, meaningfully in relation to this proposition).